The Tasmanian Sea Canoeing Club Inc. was formed in the 1970's and at the time was in the forefront of developing equipment and techniques of a fledging sport. Many decades have passed since then resulting in a club with a rich heritage. 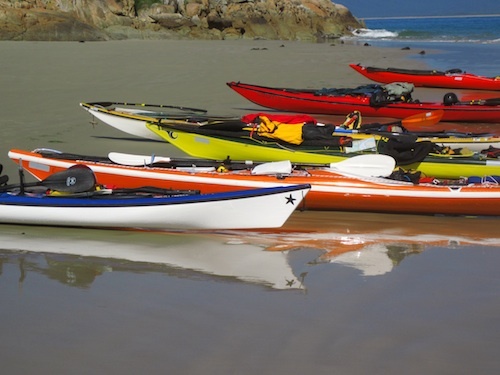 Members have paddled extensively around Tasmania and in many places around the world, and new members are welcomed into a club where members help each other with kayaking skills, gear, safety considerations and trip planning. 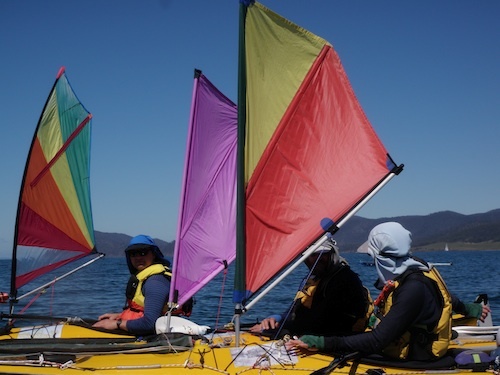 The Tasmanian Sea Canoeing Club is run entirely by volunteers and its success relies on active input from the membership. We run a range of club trips throughout the year for all levels of ability and training activities to help members improve their proficiency. Tasmania offers wonderful waterways and paddling opportunities ranging from short, relaxing trips to remote area expeditions. We get together bi-monthly for general meetings with entertaining and informative presentations and usually have our Annual General Meeting over a weekend of activities. The club is affilaited with Paddle Australia, has a bi-monthly meeting and publishes a magazine “Sea Canoeing” once or twice a year. We also have an extensive library of all things kayaking available to club members. Enjoy exploring the website for more information on the club and its activities. Note: Quite a few people contact our club seeking instruction and training and who are not really seeking to join a paddling club. If this is you, we recommend you use an alternative instruction provider such as Roaring 40s or Canoe Tasmania. Our instructors are volunteers, who give up their time to help people who are interested in continuing with the club. Emergency contact numbers are provided for people who wish to contact a club officer because a club trip is running late or may be in some trouble.